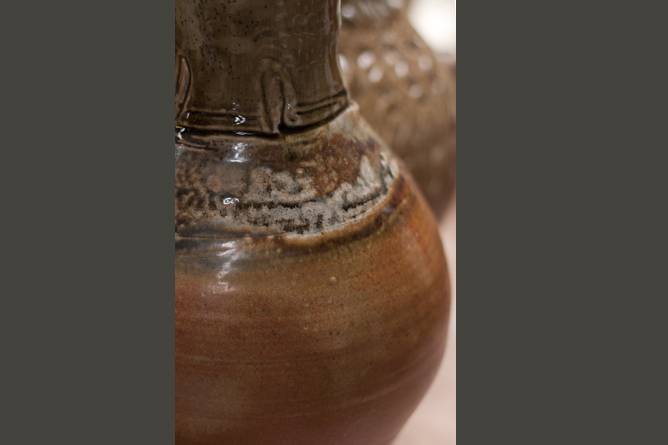 The inherent sculptural and functional demands of making and firing jugs, does not diminish with time. The successful marriage of it’s many components, foot, belly, neck, lip and handle, is an irresistible and sustaining challenge. 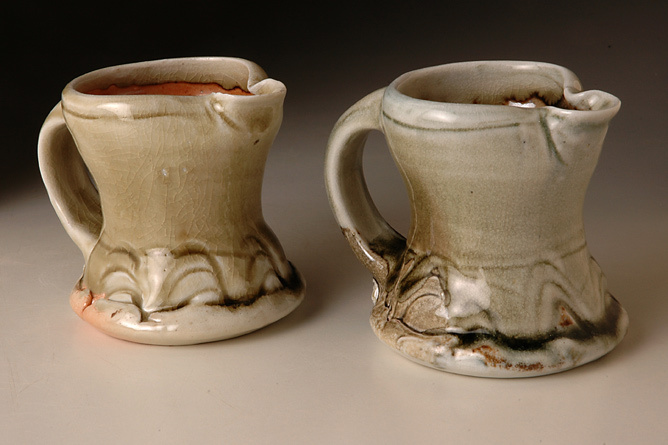 The smallest pourers I make are handle-free and often triangulated, which offers comfortable security in the hand. 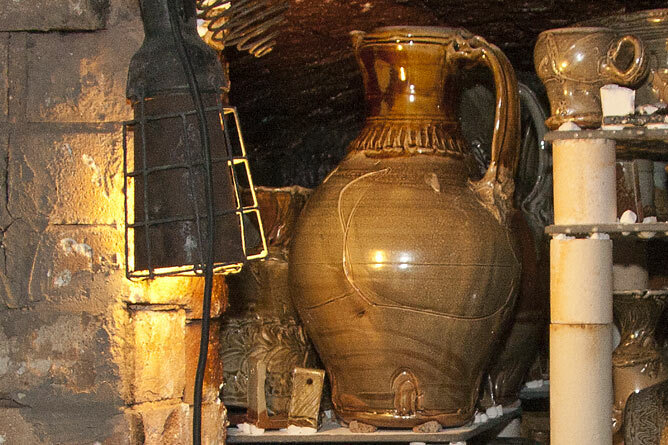 My largest jugs are sculptural in size and their role, for the most part, ornamental; in the sense that they are more plausibly used to augment the design of an interior or hold flowers, than to serve water or wine. Having said which, the cider drinking enthusiasm rekindled in the surrounding counties of Herefordshire and Gloucestershire, has enlived custom for my larger table jugs! 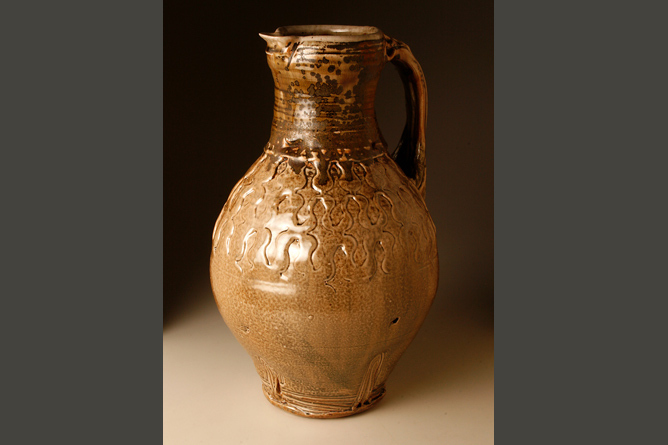 I am a prolific jug-maker and I am perhaps most comfortable continuing and extending this tradition that is so rooted in our cultural past. 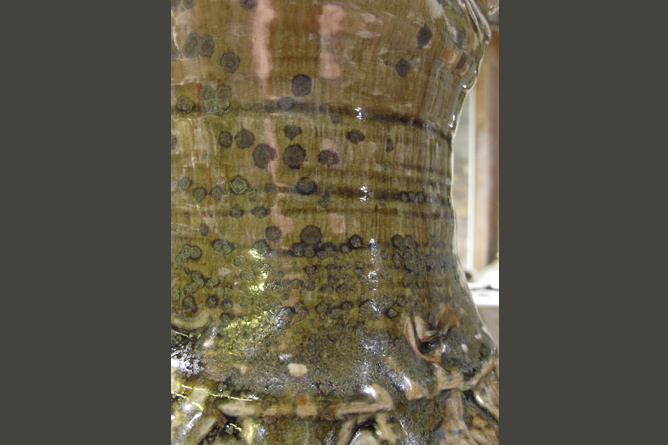 Mick Casson’s influence on my large jugs is undeniable, but long before my apprenticeship I became fascinated with the magnificent jugs of medieval England, along with the later slipwares of Devon and Dorset.